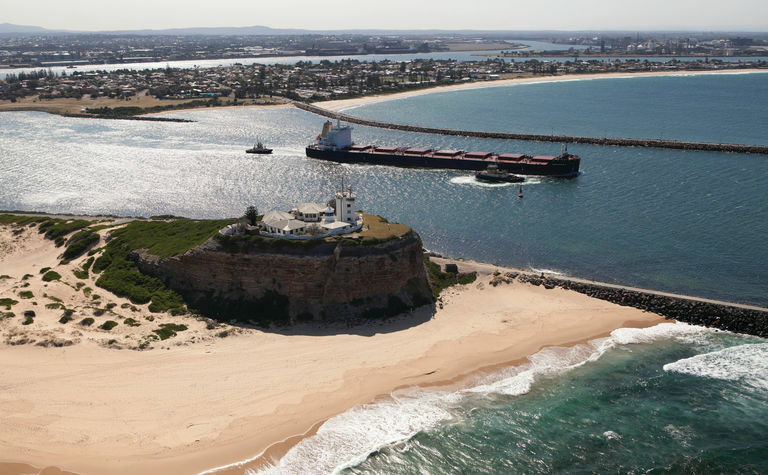 THE gas-short east coast is being offered LNG import terminal number five, courtesy of South Korea’s Epik which plans a floating storage and regasification unit at Newcastle in New South Wales and has signed a project development option agreement with the Port of Newcastle to begin preliminary works. 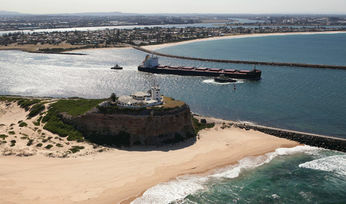 Newcastle was once considered as a location for a CSG-LNG export terminal under plans by Eastern Star Gas, although those plans were scrapped following ESG's takeover by Santos. The US$430 million project will include a 170,000cu.m new build FSRU and associated onshore infrastructure, though the size of imports planned or where the gas will come from have not been disclosed. That will take the total of LNG terminals at various stages of planning to five, with Australian Industrial Energy working towards bringing gas to NSW via Port Kembla and with an a critical infrastructure approval from the state government speed the process, AGL Energy planning a terminal at Victoria's Crib Point but hampered by state government environmental approvals, and two in earlier stages suggested by Mitsubishi and ExxonMobil. "There is simply not enough market for all or most of these LNG import facilities to proceed. After overbuilding LNG export capacity on the east coast, Australia now has plans under consideration to overbuild LNG import capacity" Credit-Suisse analyst Saul Kavonic told Energy News. 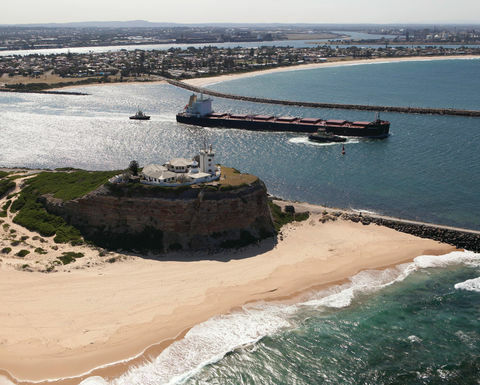 "Newcastle is a good port, but will likely require pipeline upgrades, potentially all the way to Sydney, which could make this location costly to implement depending on where the core customers are." He also said the cost seemed higher than other proposals and "if Newcastle LNG are seeking term contracts with industrial buyers to proceed to FID, then we doubt it will make progress". Industrial users are unlikely to lock themselves into LNG price-linked contracts when they can get pipe gas cheaper, he said, though AIE announced it had signed memoranda of understanding with 12 industrial users and others in June. Should the analyst have to pick a serious contender he suggests ExxonMobil has the strongest case given it can plug into the supermajor's existing infrastructure. "We do struggle to see Exxon HQ deciding to make its first LNG import and trading play at Exxon's sleepy legacy Australian operations of all places." None of this seemingly deters the South Korean start up. "Based on our assessment of the New South Wales gas market, particularly along coastal demand regions such as Newcastle and Sydney, we are confident that by importing LNG via a new, low cost FSRU terminal, we will be able to provide an infrastructure solution that is capable of delivering a cost-efficient source of alternative gas supplies to the region on a long-term basis, Epik founder and managing director Jee Yoon said. Yoon hopes to expand collaboration to include a gas-fired power plant or LNG bunkering, which would be a first in Australia and would face competition from the established and proximate trading hub in Singapore which is close to realising its own LNG bunkering ambitions. 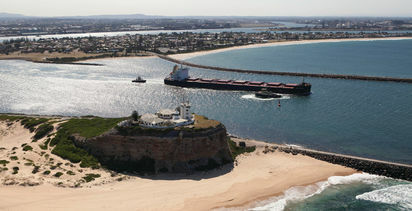 "This type of development opportunity is consistent with our diversification plans and we're pleased to be supporting Epik as it conducts preliminary investigation work, especially given its potential benefits for the NSW economy," Port of Newcastle executive manager customer and strategic development Ian Doherty said. Epik will not place an order for the FSRU with a shipyard until regulatory approvals for the project have been received. AIE has already announced it has contracted Hoegh to build its FSRU.